"Sweet Phoebe is a promising debut for this new company"
"Runcible gives us an intriguingly performed and good looking production"
Runcible produced the Midwest Premiere of Sweet Phoebe by Michael Gow at The Frontier Theatre in Chicago, February and March of 2014. Helen and Frazer are working towards the perfect life, but when friends pressure them into looking after their pampered pooch Phoebe, a dog gets in their way. Phoebe escapes, driving the couple's orderly lives into chaos as they search the city to find her. MICHAEL GOW'S plays include the Australian classic Away, Toy Symphony, The Kid, On Top of the World, Europe, Sweet Phoebe, Live Acts on Stage, 17 (for the Royal National Theatre of Great Britain), Toy Symphony and Once in Royal David’s City. His plays have been performed in Poland, the Czech Republic, Vietnam, Japan and all over the US. Michael has been Associate Director of Sydney Theatre Company and Artistic Director of the Queensland Theatre Company. He has directed for all the major Australian theatre companies as well as Opera Australia, Australian Theatre for Young People and the Lincoln Centre’s New Visions New Voices programme. Michael’s awards include two NSW Premier’s Literary Awards, two Sydney Theatre Critics Circle Awards and an AFI Award for writing the ABC miniseries Edens Lost. JAY REED (FRAZER) Previously Jay has been seen in The Heart is a Lonely Hunter at Steppenwolf; Three Sisters, Two by Pinter, and Gogol at Piven Theatre Workshop; Hamlet at re(discover) theatre; and recently Richard III for Wayward Productions. Jay received his BFA from Ithaca College in New York and was a member of the Young People’s Company at Piven. JULIE WAGEMANN (HELEN) Julie is delighted to be working with Runcible Theatre Company. Most recently she understudied/performed the role of Andrea in The Dream of the Burning Boy at Profiles Theatre. Julie has also spent time working as an actress in Jerusalem, Israel, where her work included Passengers for Jerusalem English Speaking Theatre, and a pilot for a Speaking Pal promotion. Julie studied Theatre at Illinois State University, and Acting at The American Academy of Dramatic Arts in Los Angeles, CA, where she is originally from. She is very excited to be back in Chicago and be among the diverse and inspiring theatre scene here. By day, she very much enjoys walking dogs as a proud owner of her own pet sitting company, Wags A Lot Pet Services. CLAIRE CHRZAN (LIGHTING DESIGNER) is excited to be working with Runcible Theatre Company for the first time! Previous design credits include Harry and the Thief with Pavement Group, Boy Gets Girl at The Raven, and Uncle Bob with Mary Arrchie. Claire is an artistic associate with Interrobang Theatre Project where she has designed The Pitchfork Disney, Terminus, Speaking in Tongues, Hot 'N' Throbbing, and Orange Flower Water. Claire is also production manager for Interrobang’s current season. Later this spring she will be designing Best Beloved: The Just So Stories with Strawdog Theatre Company. NATE DION (STAGE MANAGER) is thrilled to be working with Runcible Theatre Company. He recently assistant stage managed the Midwest Premiere of "In God's Hat" at Profiles Theatre. He participated in the internship program at Profiles, where he also assistant stage managed "Hellcab" and served as dresser for the World Premiere of "In the Company of Men" by Neil LaBute. 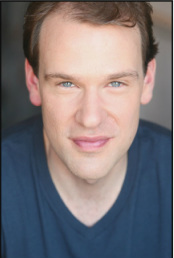 Nate received his Bachelor's Degree in Theatre from Central Michigan University.